PARAGON Official Big Cartel Shop Online Again! You can now preorder Special Items in our Official Big Cartel Shop. All orders will be shipped after the release of „Controlled Demolition“ on the 26th Of April 2019. Here is the Link to the shop! New Video „Mean Machine“ now online! Check out our new videoclip for „Mean Machine“. 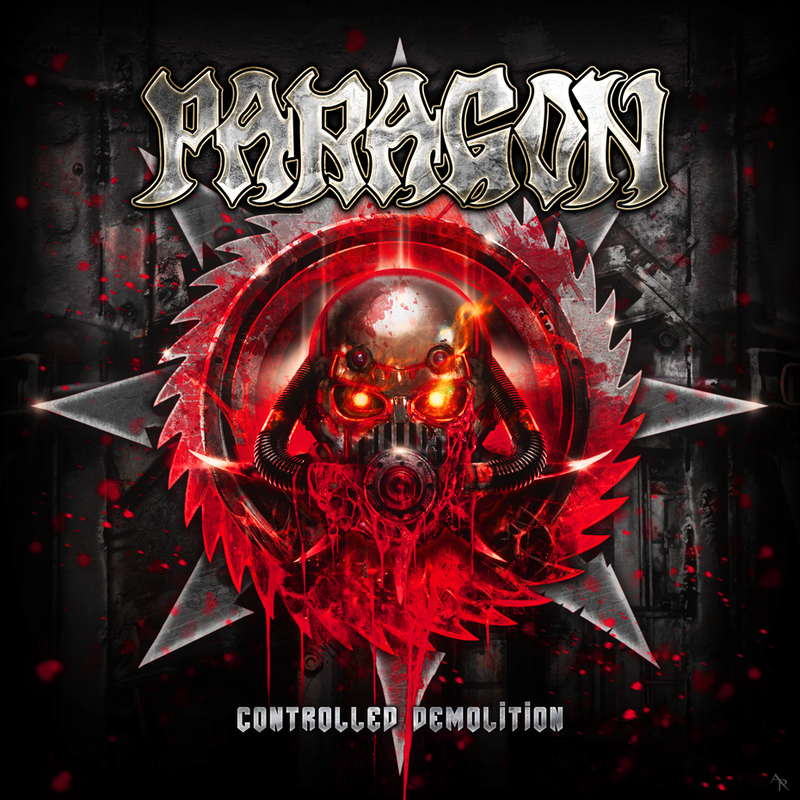 Our new album „Controlled Demolition“ will be released on the 26th of April 2019 on Massacre Records. First Reviews for „Controlled Demolition“ are online! Here are the first Reviews for our new album „Controlled Demolition“. The album will be released on the 26th Of April on CD, LP and Digital on Massacre Records. We will release all online reviews we find on our webpage here. We are confirmed as headliners for the GLOWING EMBER FESTIVAL. This will be the release show to our new album „Controlled Demolition“ which will be released the day before on Massacre Records. 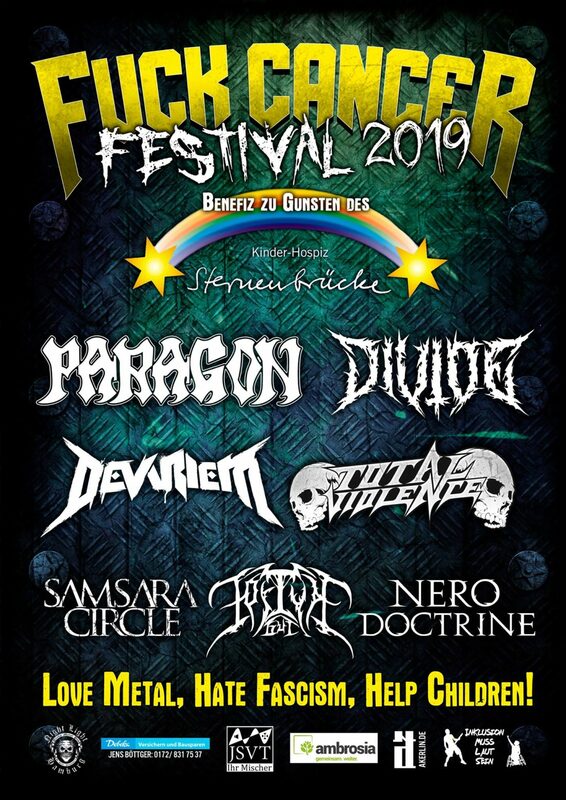 We will play a special „New-School-Show“ with a lot of songs from the new album and also a lot of stuff from it´s two precursors „Hell Beyond Hell“ and „Force Of Destruction“. 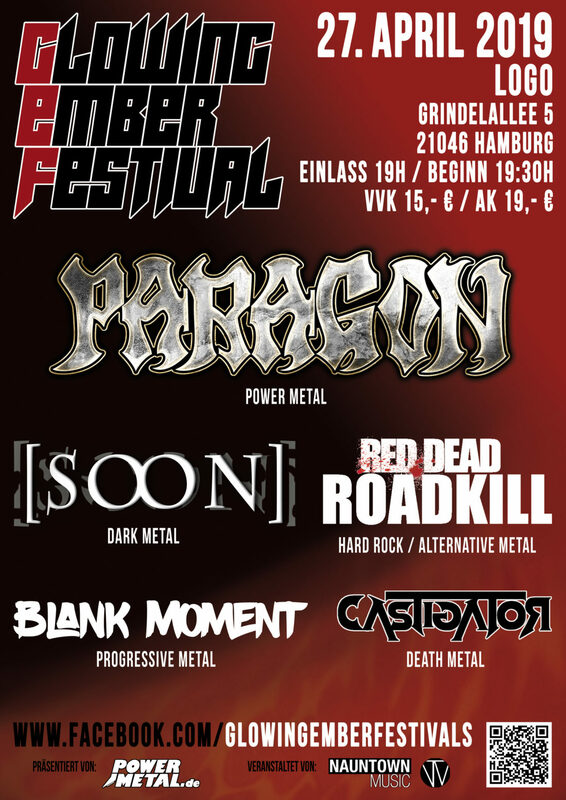 Paragon Back to Konken at the Headbangers Night XVI! 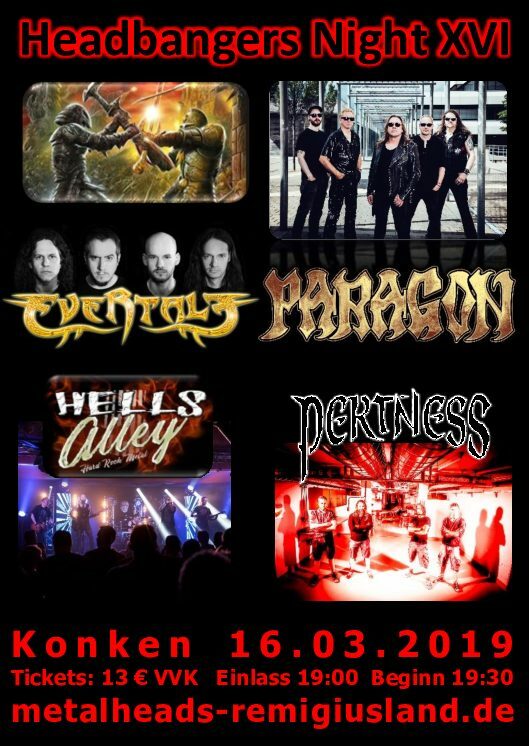 On the 16th of March we will be back in Konken to headline the Headbangers Night XVI. Support will come from Pretness, Evertale & Hells Alley 5. We are really looking forward to meet all our great friends in Konken again! We will play a full 90min. set with some surprises. You can preorder Tickets at this page here or check out the Facebook page of the event here. Preorder link for „Controlled Demolition“ now online! You can now preorder our new album „Controlled Demolition“ on Vinyl, CD and Digitally. It will be released on the 26th of April on our new label Massacre Records. You will also find snippets of all songs on the preorder link. Check it out here. First Lyric Video Single „Black Widow“ online! Check out the first lyric video single „Black Widow“ of our coming album „Controlled Demolition“ at the YouTube Channel Of our label Massacre Records. 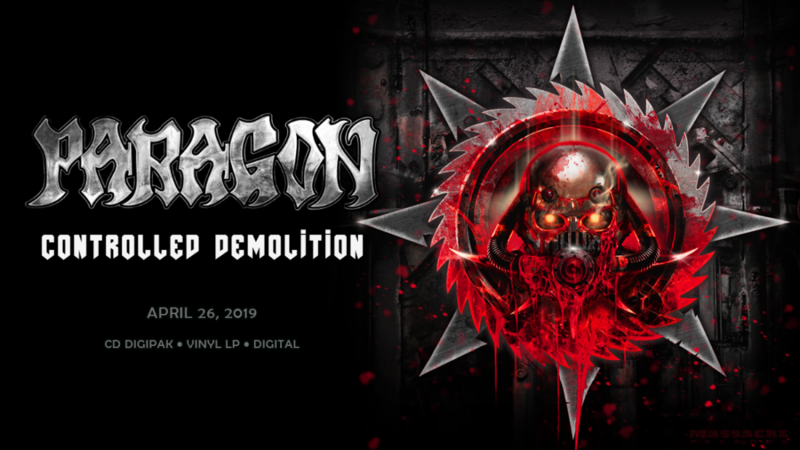 „Controlled Demolition“ will be released on the 26th of April 2019.